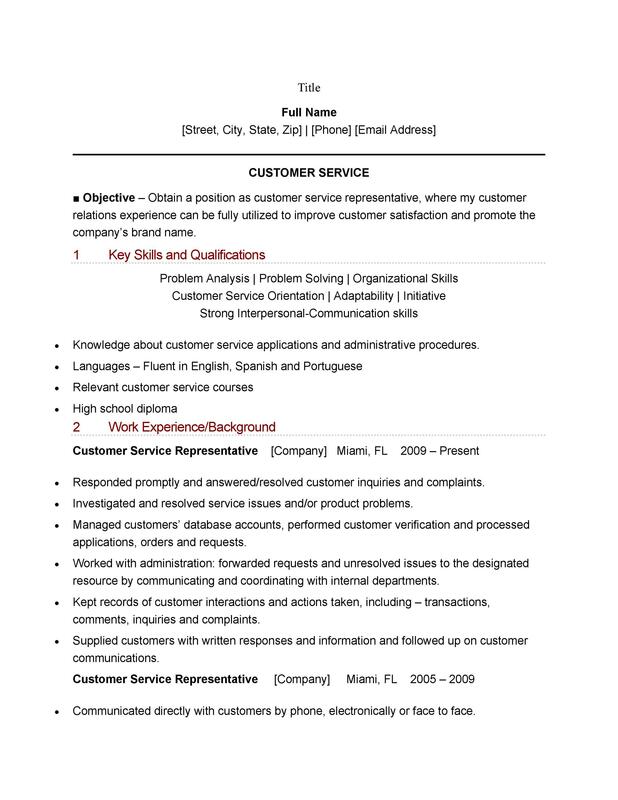 A customer service resume is your first and most important communication with a prospect employer. 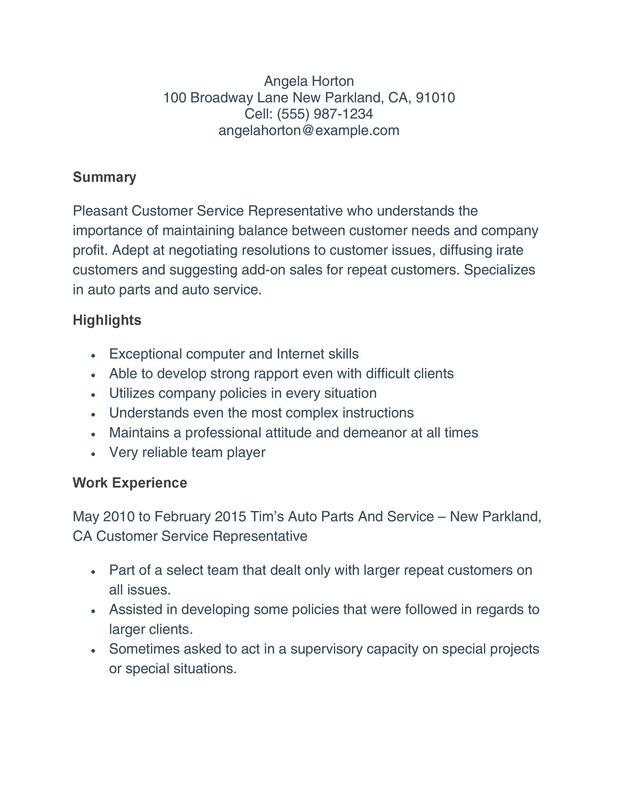 It is the very element that can win you an interview for the position of a customer service representative in the organization of your choice. Hence, it is crucial to build a resume that is unique and effective. 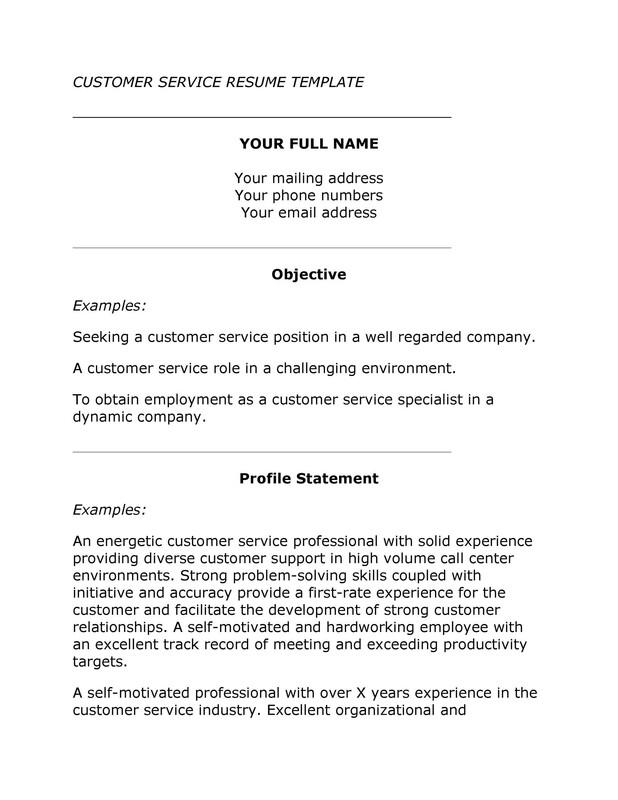 7 Why Use a Customer Service Resume Template? 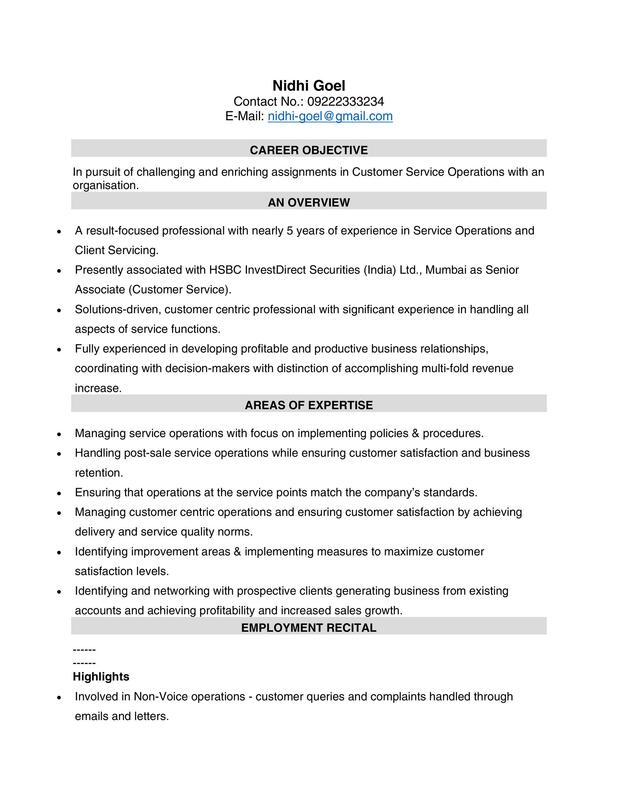 It should include all the professional milestones achieved by the applicant in the field of customer service. It should be brief, and targeted to address the job description of the position applied for. Visually appealing. Complete with proper headings, appropriate line spacing, and legible font. Properly formatted. 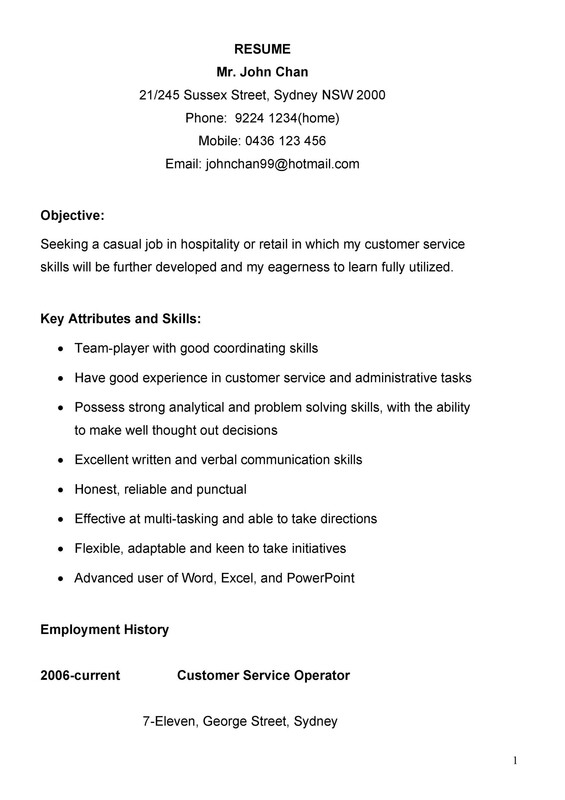 A customer service resume should be formatted either on the combination or functional resume format. A job seeker is mostly aware of the skills they possess. However, listing down the skills alone is not as effective as creating a strong skills base that qualifies as your relevant expertise on the job. How do you achieve that? 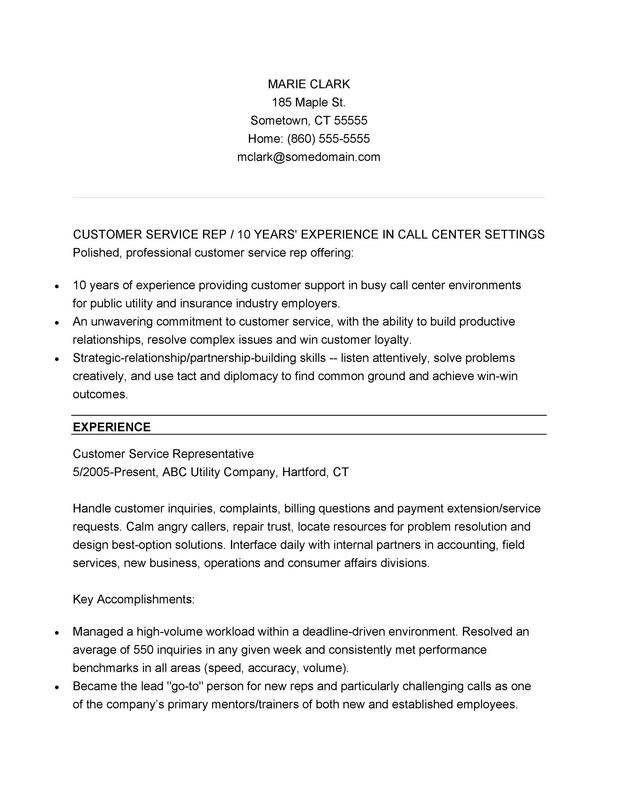 Go through your current resume and strike of any skill that does not pertain to customer service. List the skills down as your expertise. It is imperative to bear in mind that the skills you shortlist need to add value to your rapport. There may be countless times where you as a customer representative managed to uproot the cause of your customers’ troubles and provided them with adequate solutions to get through it – make these instances the highlight of your career. List them down as your achievements. They are proof that you posses the expertise and skills to excel in your chosen field of customer service. Being a customer service representative is all about good communication. 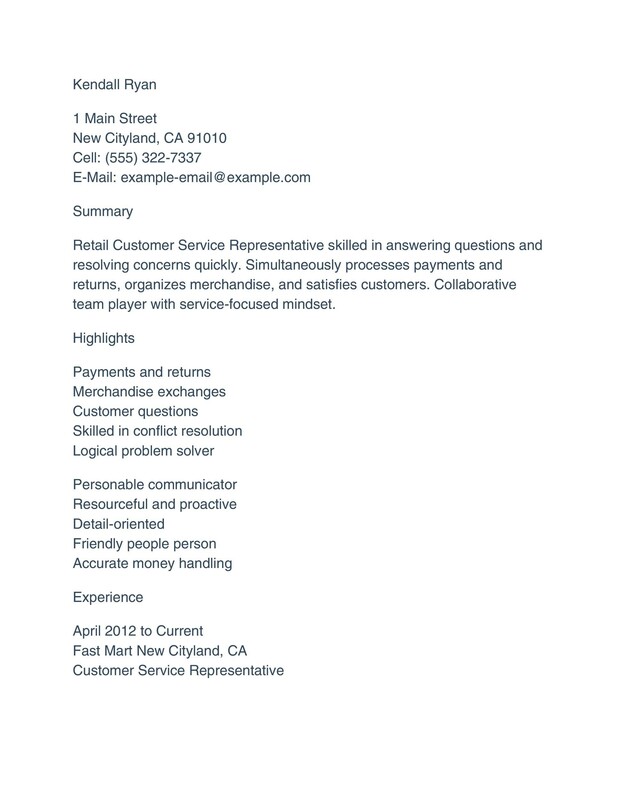 One cannot expect a person who is socially shy or awkward to excel as a customer service representative. You have command over communication techniques like clarification, negotiation, summarizing, and paraphrasing? It needs to show on your resume. 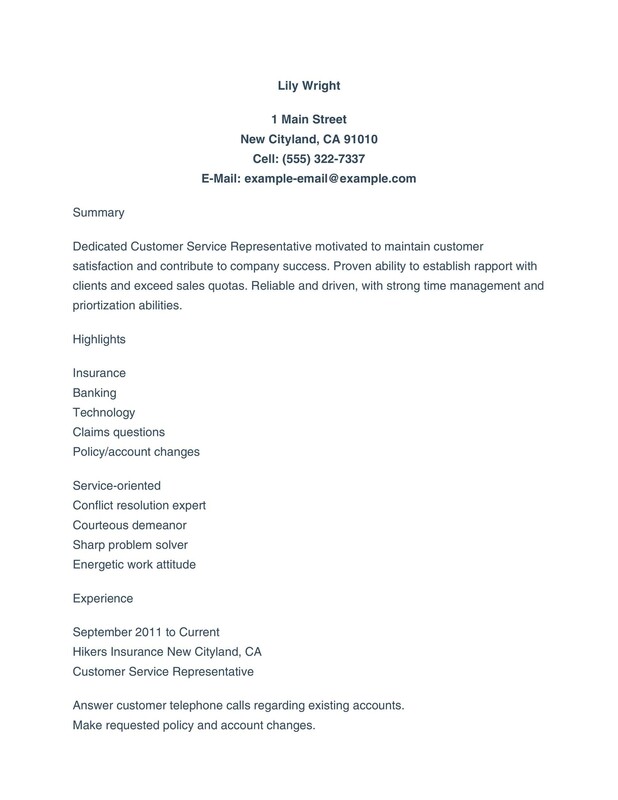 Adding these elements to your customer service resume will make it stand out among others and eventually create a better opportunity for you to land an interview. However, if your skills and achievements are not synchronized with the expectation of the potential employer, your resume will not be as effective as it should be. When the employers mull over the decision to hire you or not, they look for how you in your individual capacity can promote the aims of the company. The way you win over your customers. Your efforts to ensure your customers have a positive experience with the company. How you treat your customers making them feel accepted, welcomed, and valued. How you impart the information to the customers – keeping it relevant, clear, and concise. Your self control. Being patient, respectful, calm, and courteous at all times. Understanding the wants and needs of your customers. 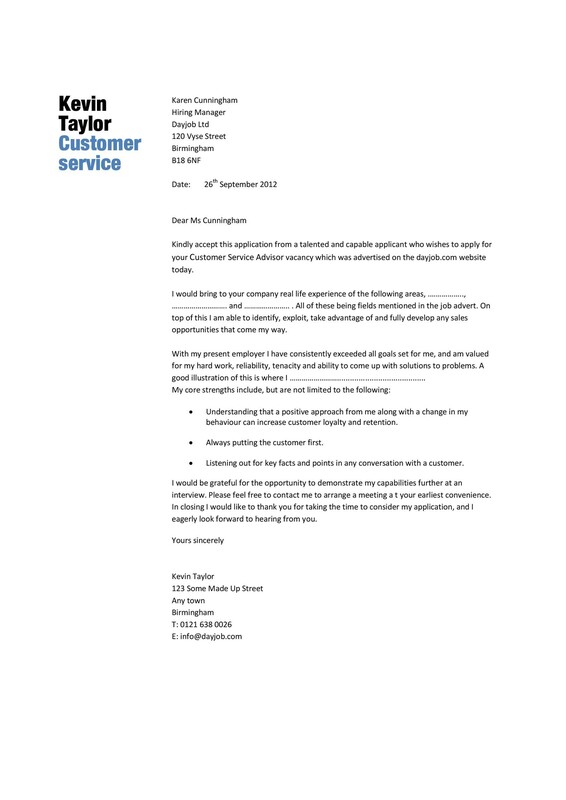 Standing up to the problems of your customers and going lengths to ensure they are timely resolved. Having sound knowledge of the company’s products and services. 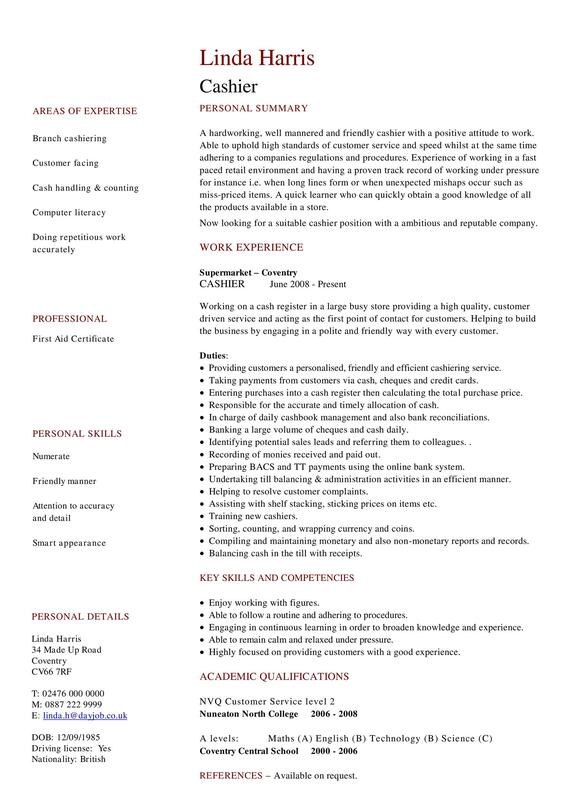 What started as a simple list of elements important for a customer service resume to stand out has now developed into a complex web of outsmarting the employer by carefully incorporating skills and qualities into a resume that impresses at the very first sight. 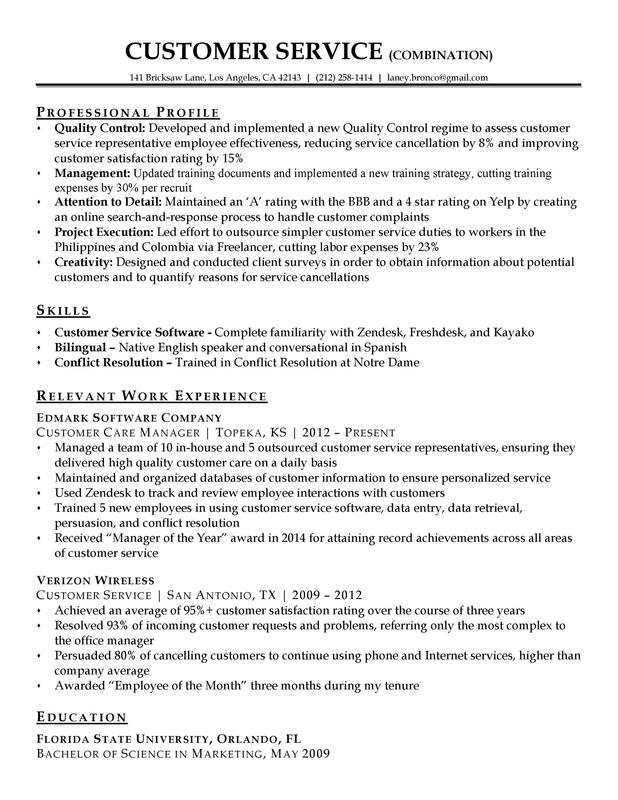 Obviously creating a resume like that does not come easy. There’s a lot to consider – from the wording to the formatting. This has led to professional resume writers earning good dollars for resume creation and makeover. But why would you spend a three figure amount on something that you can easily find online? 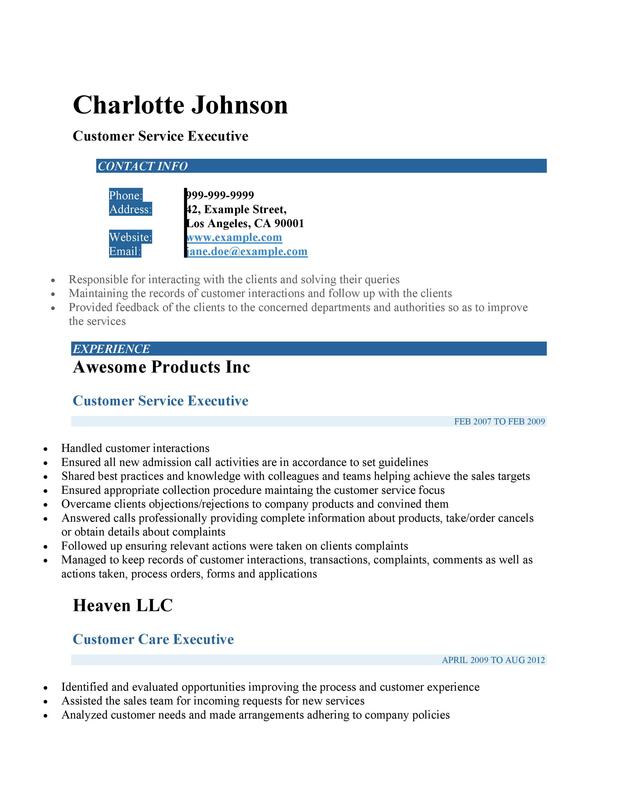 Our website provides a myriad of properly designed and professionally written resume templates for job seekers in the customer service industry. 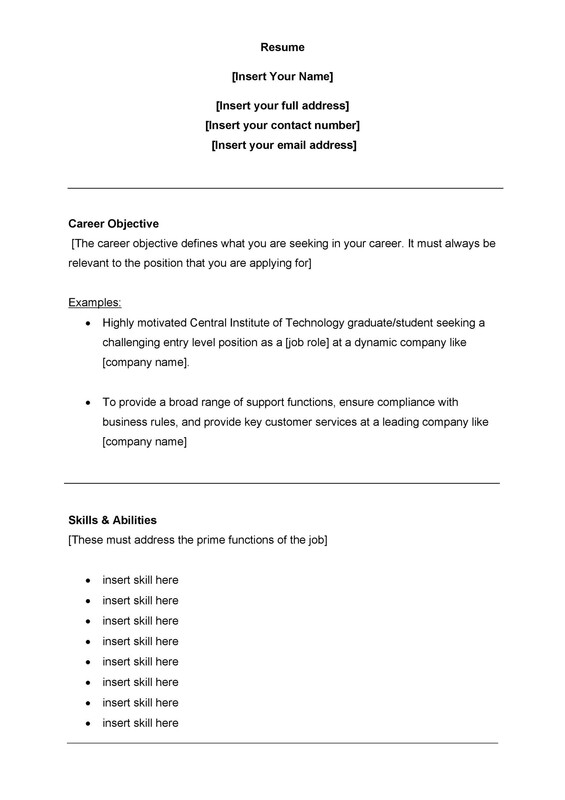 These templates are created keeping in mind the applicants’ perspective and employers’ expectations – sufficient to provide users with a clear idea of what to include in the resume. 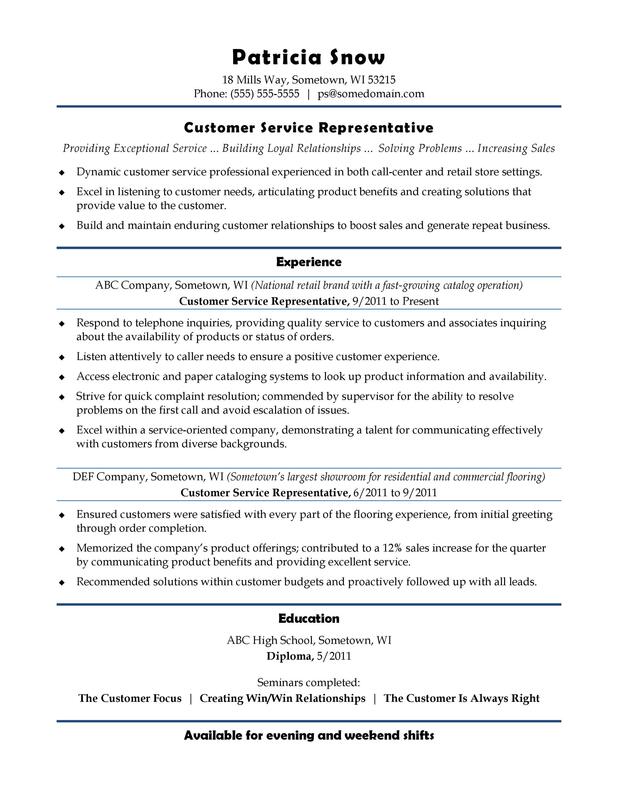 Our customer service resumes are built using both, the functional and the combination approach of resume writing. 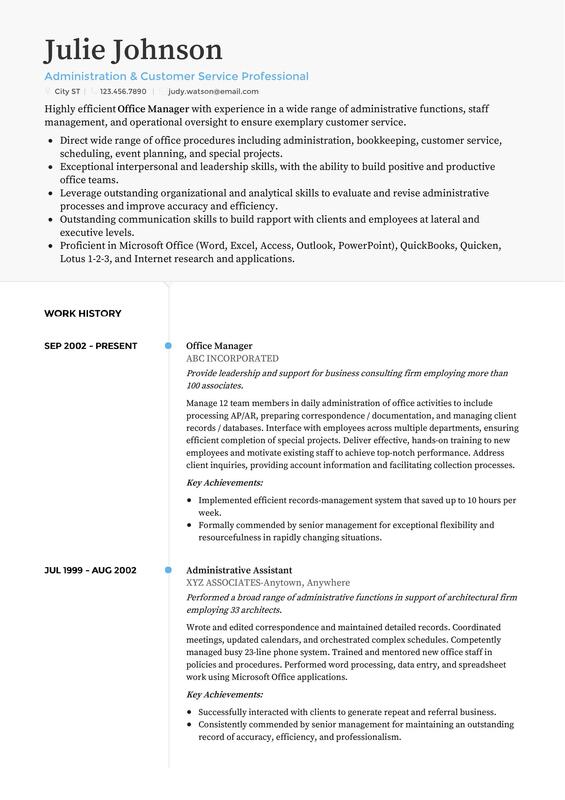 A functional resume highlights your capabilities. What you’re good at, such as managing, coaching, or hiring. 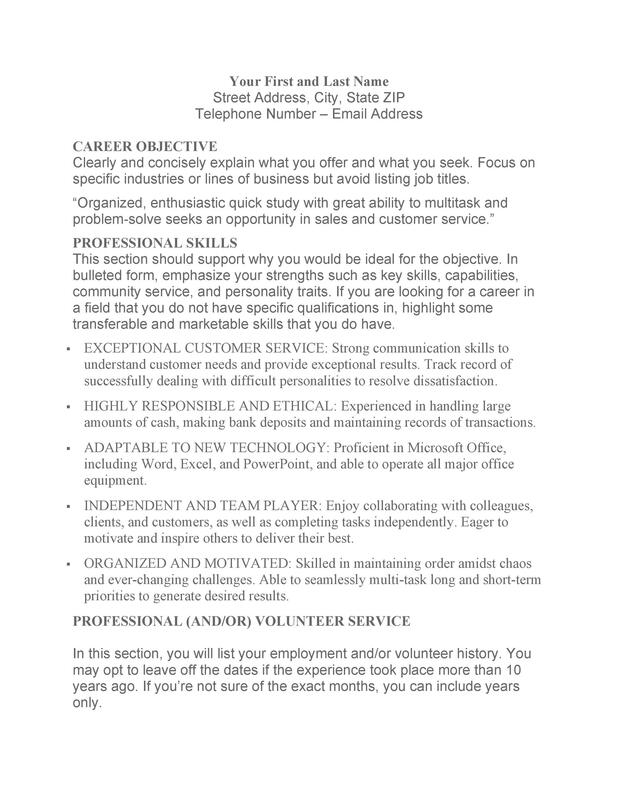 Your chronological work detail is included in this resume format but it is usually summarized towards the end of your resume with more emphasis being laid on your skills. 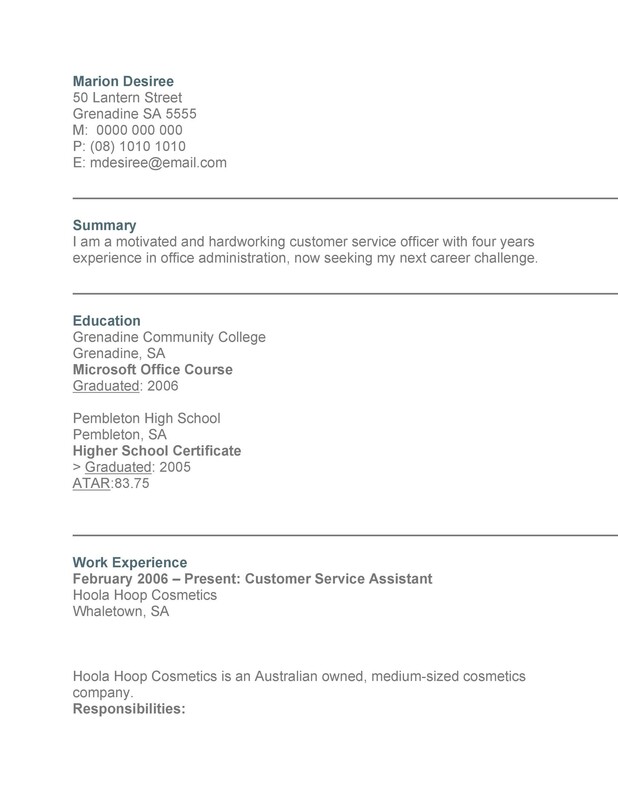 Using this format you get to list down your most relevant qualifications on the top. The past employment details take precedence over skills in this particular format by being outlined right below the qualification. This format does not particularly help customer service job seekers who qualify as frequent job hoppers or the ones who have irrelevant work experience in the past. 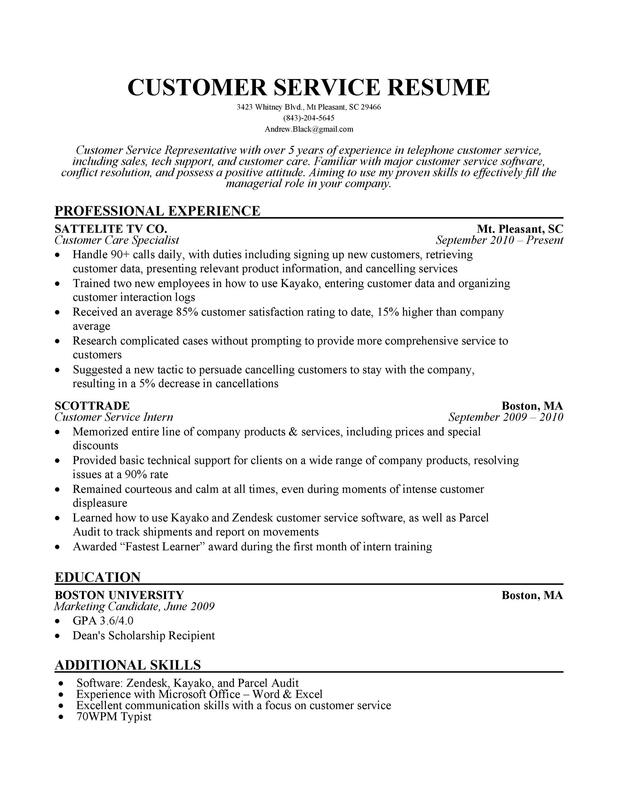 Why Use a Customer Service Resume Template? Truth is that no one knows you and your capabilities more than you (well maybe your mother does! but that’s not the point here). Even when you communicate everything about yourself and your skills to the professionals responsible for creating your resume for you, there will be something or the other that’s left out. 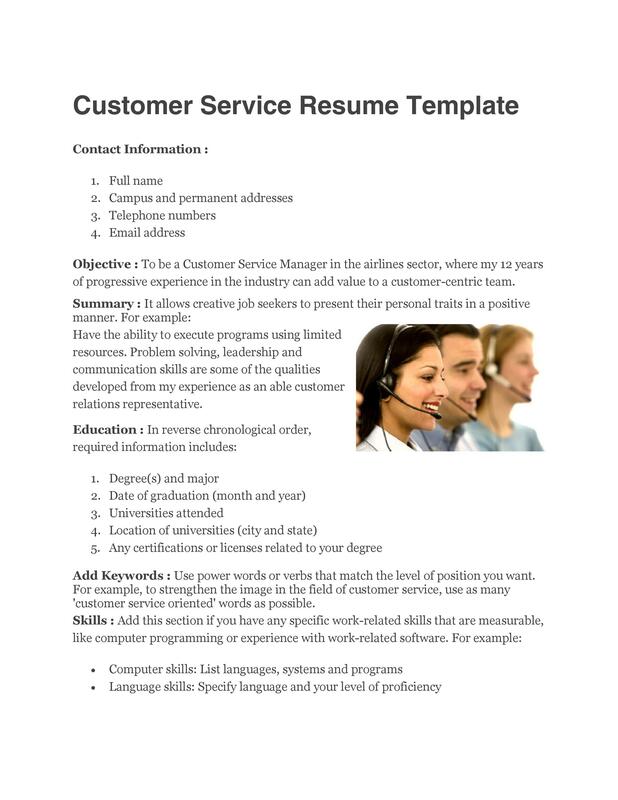 Resume template is a tool that provides you with a skeleton that you need to beef up with relevant content that pertains to your experience and expertise as a customer service representative. 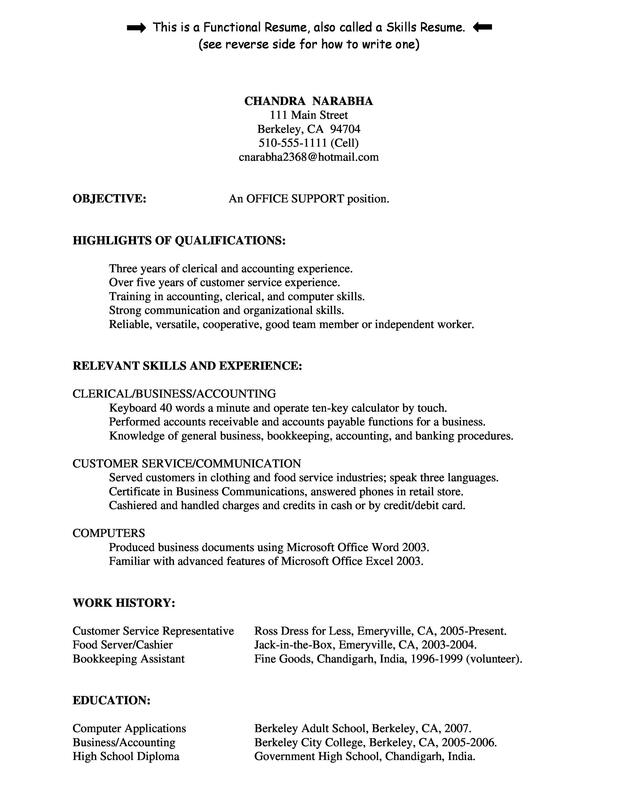 You have the liberty to draft to make your resume as unique as you want taking hints and ideas from an already prepared resume. Most people are not fond of shortcuts but if it’s saving your time and taking you to your destination, then why not? 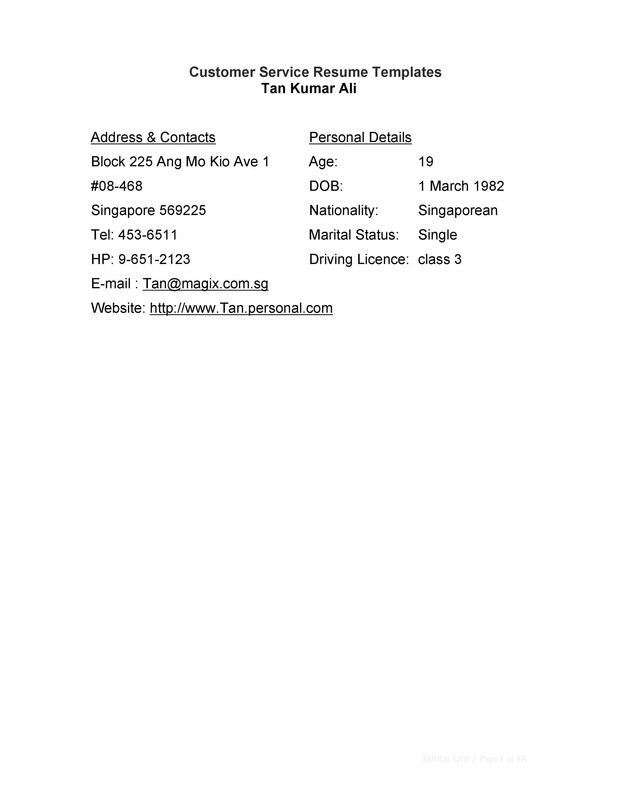 It is important to note here that not all resume templates available online are up to date. Most of them use outdated styles, formats, and redundant words, which make it easier for employers to figure out that a template was used. That will not work in your favor! Always make sure the template you pick is free of clichéd formatting or simply pick one from the ones at our website. 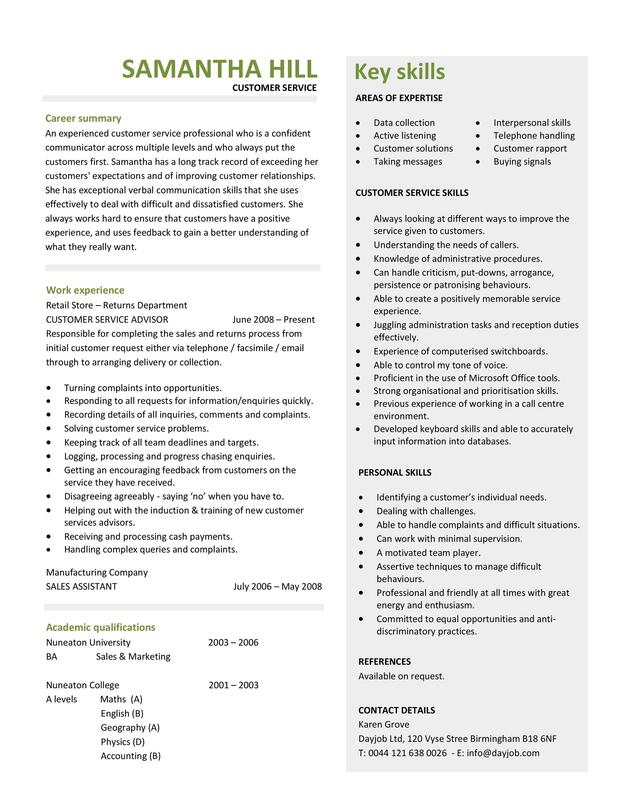 We provide the latest resume formats and templates for you to work on. 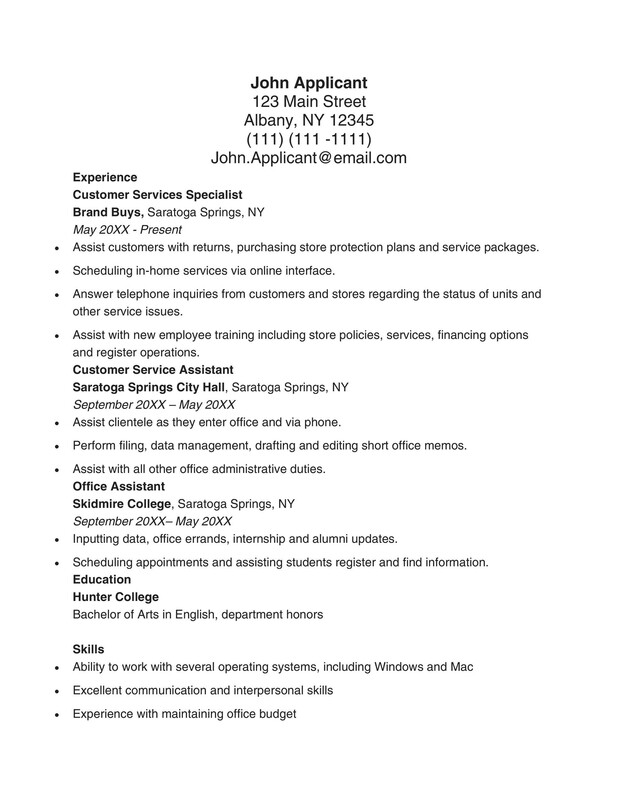 Your resume is basically an advertisement that markets your services to the potential employer. You know what you’re good at and you know what can get you the job. 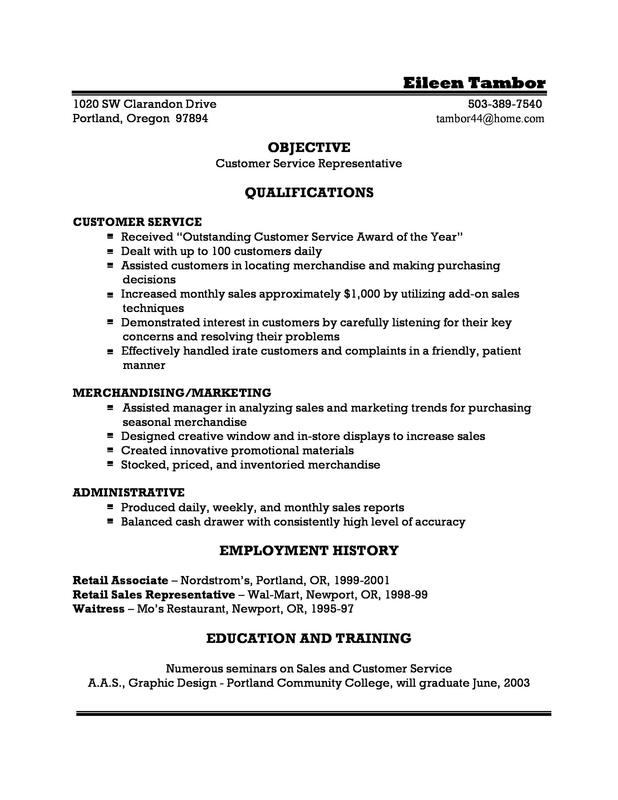 The template provides you a basic format of what the end resume should look like. You can make as many alterations and additions to it as you want. Highlight what you want the hirer to see. 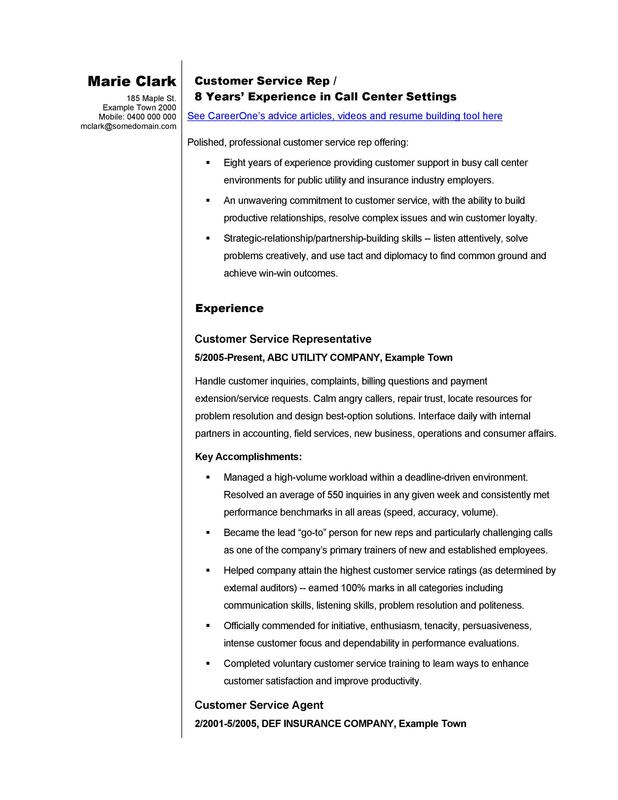 This does not mean typing “CUSTOMER SERVICE EXPERTISE” just the way we did here. You need to get an insight of how professional hirers pick out relevant aspects of your skills from in between the lines. You need to place those relevant elements strategically into your resume. Something our templates will definitely give you an idea of. If you thought the professional resume writers start from a blank page every time a client approaches them for creating their resume – you’re wrong. 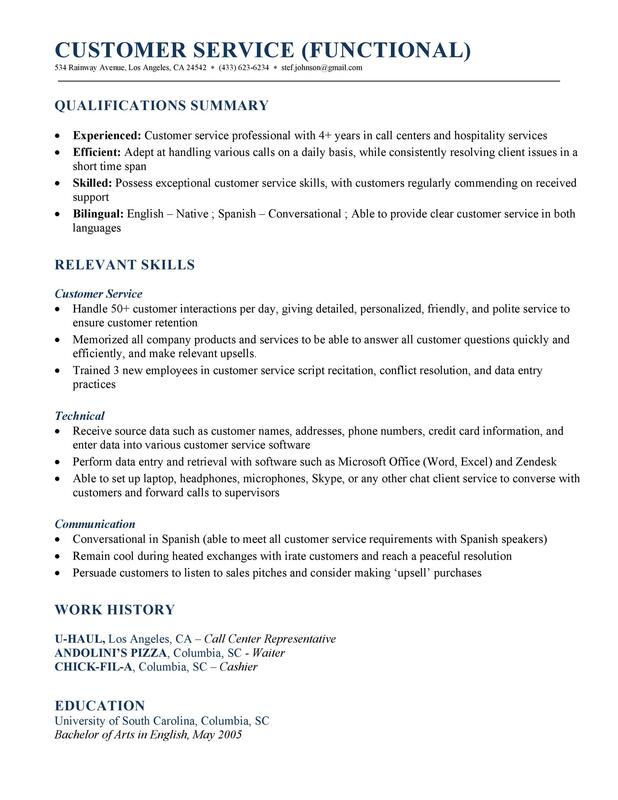 They’re into the business of building CVs and can’t afford to waste their time on creating one from scratch every time. What do they do? They use templates too! When professionals can do it, why can’t you? When you do not know where to start from a template can provide you with a good head start. 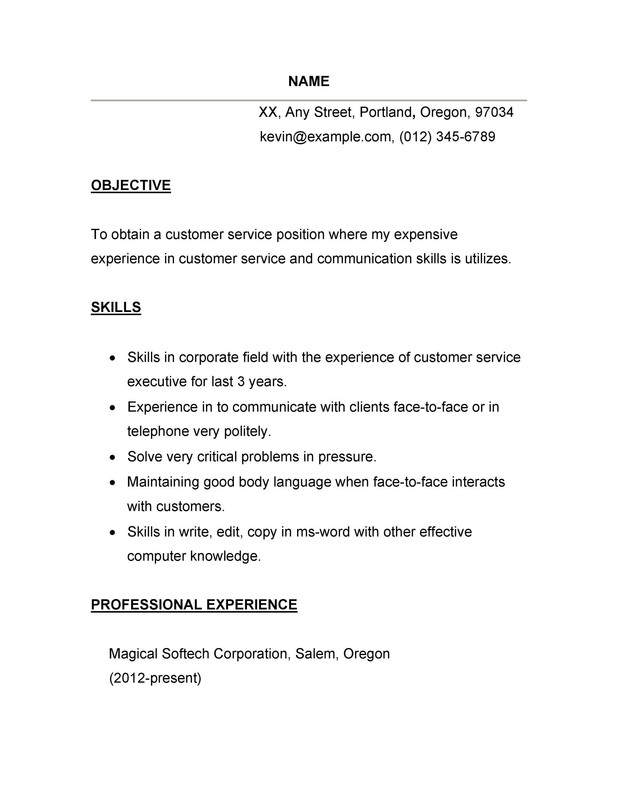 This is especially useful for entry level candidates who are unsure on what to include in their resumes. When you are short on time. We’ve already discussed that a template tends to save your time. All you need to do is replace the contents with your personal details. Some may argue over the fact that compiling everything you know about your capabilities may prove overwhelming and time consuming; but with the template you already have the direction you need to go in. When you do not want to start off on a blank page. 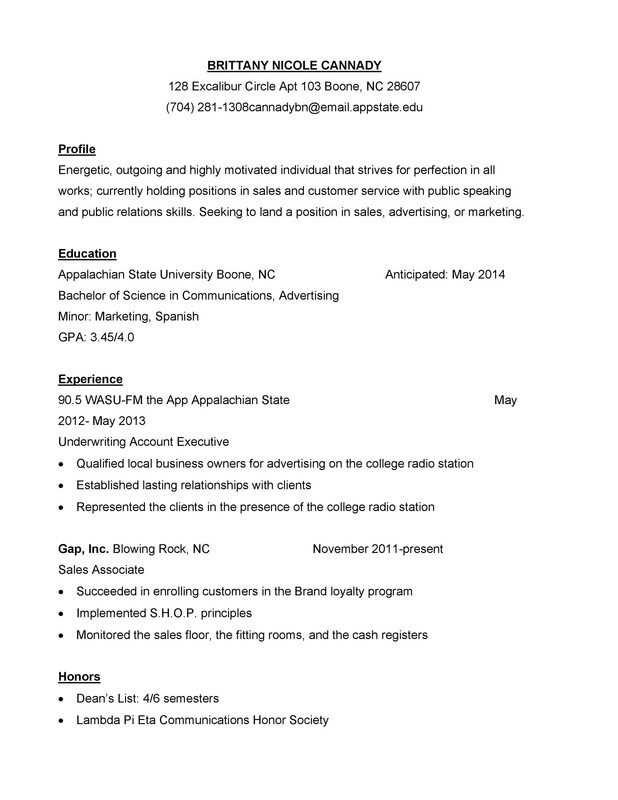 Creating a resume from scratch can be an ordeal. 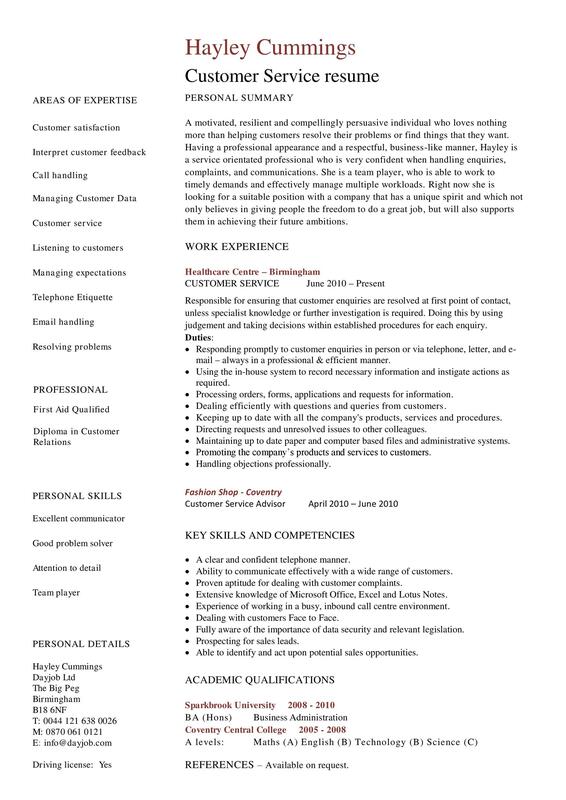 Proper formatting and structuring of the document can take up precious time that could be invested in distilling the information that you need to include in the resume. That’s when you use a customer service resume template. Don’t just stick to it; take the liberty to personalize it. If you don’t like the font, change it. If you think a border will make it look more visually appealing, add one. Think a divider can help with better space utilization, go ahead and use it. The template should be your idea generator. 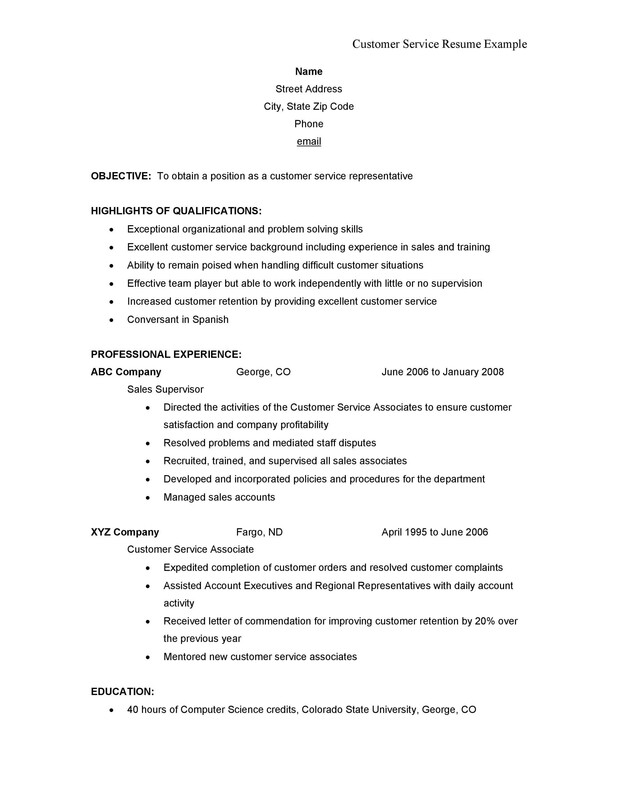 Take it as a guideline to creating a unique resume. Look for something different. 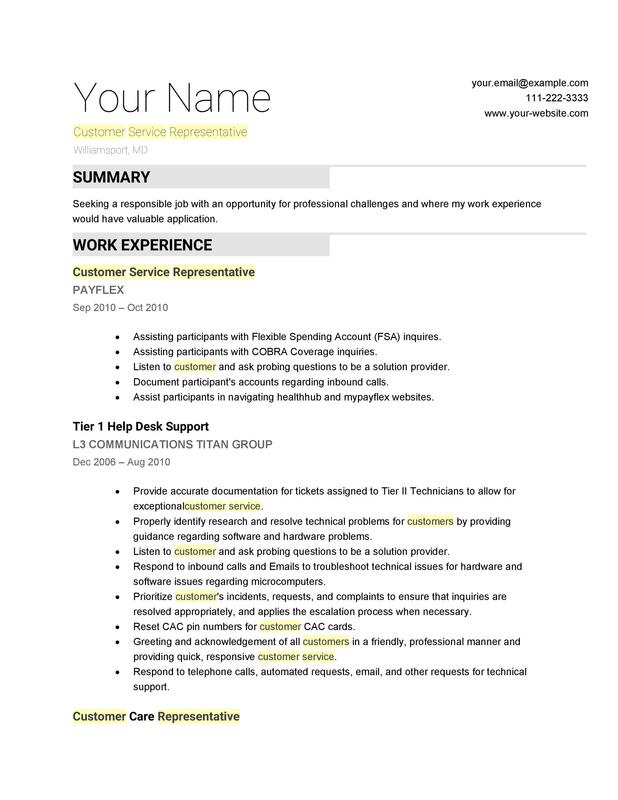 Everyone would be headed off to Google Docs and Microsoft Word to find a customer service resume template for themselves. There’s a high probability most of their resumes will look exactly the same. Find a source, a template that is less commonly used than others (like the ones we have). Be creative. It’s not necessary to stick to just one template when you can make one that’s entirely your own. Pick out several different templates to gather ideas. 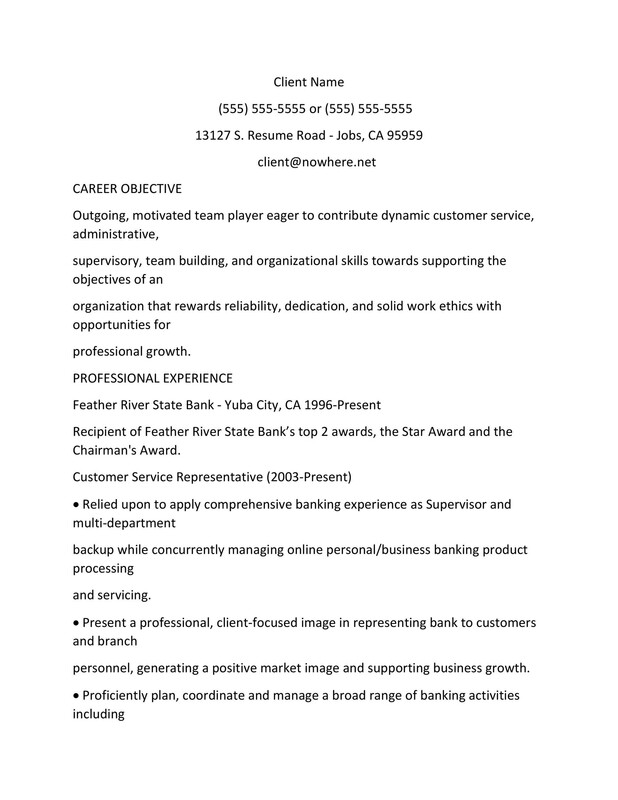 Pick out elements from them that appeal to you the most or can make your resume look crisp and professional. Create something that is unique and cohesive – trust us, it’ll impress the hirers. Don’t forget to use an attractive font! And use numbers and statistics wherever possible! Why don’t you start off with it today?